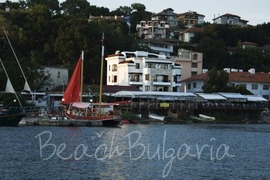 Balchik offers a variety of hotels, villas, guest houses, campings and other types of accommodation. The hotels are located right on the sea shore, in the central part of the town or next to the Botanical garden and the Balchik Palace. Most of the hotels feature swimming pools, sport and SPA centres, bars and restaurants, facilities for children, business rooms and equipment. Moreover, there are 3 golf courses with luxury hotels in close proximity to Balchik – Black Sea Rama, Thracian Cliffs, Lighthouse Golf & Spa Resort. 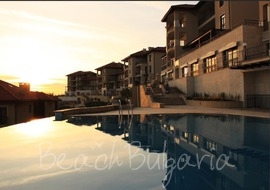 Contact us for more information about hotels in Balchik, online bookings and bargain rates. Black Sea Rama complex is located on a 300 m cliff, revealing beautiful views of the Black sea. 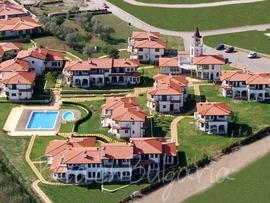 The property is situated 7 km from Balchik on the way to Kavarna and 50 km from the International Airport of Varna. 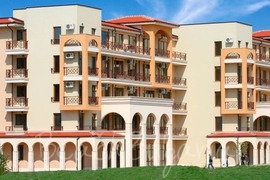 Mistral hotel is located on the beach in Balchik Black sea resort. Mistral hotel welcomes with its beautiful stone facade, wrought iron ornaments, luscious verdure and the Mediterranean spirit of southern France. 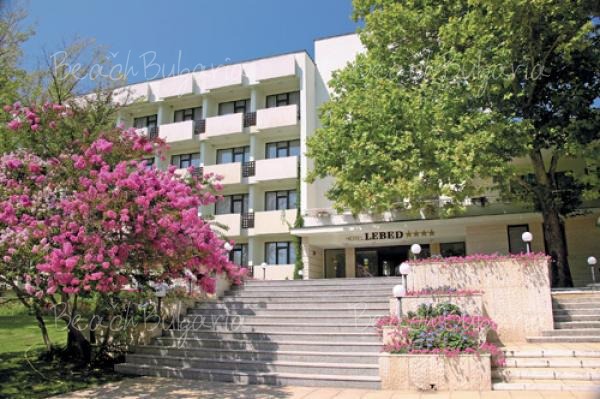 Regina Maria Spa hotel is situated in the town of Balchik on the sea front, next to the Botanical garden and to the “Balchik Palace” - the Romanian Queen’s former summer residence. 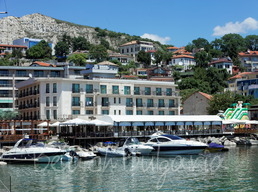 Helios hotel is located right on sea shore next to the Central beach of Balchik. The largest sand beach in Balchik is situated right in front of the swimming pools of the hotel with a direct access to it. 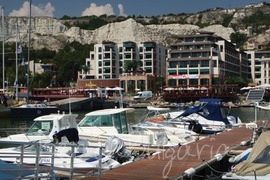 Marina City hotelcomplex is situated in Balchik resort. It is only 20 minutes away from the airport of Varna, but it also offers its own charter airport and an airplane for business flights. Selena hotel is located in the central part of the sea alley, right in front of the Yacht port in Balchik and just 500 metres away from the Balchik Palace. The hotel offers a stunning sea view from the first floor balcony. Location: Thracian Cliffs Golf & Beach Resort is situated 1500 m from the beach and about 7 km from Kavarna and Balchik resorts on Bulgaria's Northern Black sea coast. Best deals Emerald Resort Ravda Get free overnights - 14=12, 7=6!